Once you have made the decision to sell it’s likely that you’ll need to do some things to get your property ready. 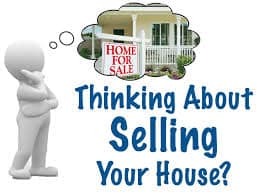 Our Tips That Sell My Home Fast will assist you to make sure you have the information needed to complete the items to sell your home in the least time possible. It’s time to take a serious look at your property and find out exactly what it needs to make it more desirable. This process doesn’t necessarily need to start with a major and costly renovation. Start out by taking care of some of the smaller problems such as cleaning up the yard and maybe freshly painted eaves. These small items might just be all you need to do in order to get your home listed on the market for sale. On the exterior, just make certain that your property looks good from all vantage points. After all these items are completed you might just love your house enough to stay! All of these tips are good to ensure your homes in the best possible condition to be shown to a prospective buyer. Most buyers will have an idea what it is your home has to offer before they ever visit it in person. Most real estate agents will have already provided them with information about your neighborhood including what type and quality of schools are nearby and if there are nice parks and retail stores available in the area. Providing your home is in the right price range, is the correct size most buyers are seeking and appeals to the buyers needs then you’re probably going to receive an offer. First impressions do matter, using our tips that sell my home fast in addition to proper curb appeal will accomplish your selling goals. Take some freshly cut flowers and place them in view in your entryway. You may also want to bake some cookies and make a pot of coffee so you can offer them to potential buyers. Have some soft music playing in the background and stay with classical or light jazz selections. Keep any kids that you have busy outside playing so they will not be a distraction. Before an appointment with a potential buyer, be sure that you clean up and remove anything that resembles clutter. If your house is loaded in the furniture department, you may want to consider removing some of it to create a more open look and feel. Do not display too many works of art and remove all family photos. You also do not want to have your fireplace mantle, tables, and walls looking like they are covered with photos and art. Make sure to allow as much sunlight in as you possibly can by opening drapes and opening windows if the weather permits. If the time of year is right, light up the fireplace and use indoor lighting to create a friendly look and feel. If you look around your home and say that it clearly says “welcome”— you’re ready to show your home. For more information on tips to sell my home fast or if you’re considering selling your home, please contact us or leave a comment below. We’d appreciate the opportunity to assist you! Thanks for this advice for selling a home quickly. It’s good to know that you should try to maybe clean up the yard. This seems like a good way to improve your curb appeal so potential buyers may be more interested in checking out your home.